If everything were going fine, there would be no need for elections, candidates, or even discussions, right? If everything were easily resolved, there would never be a need for a meeting. But disagreements, different viewpoints and history are all part of the discussion in deciding who we pick to represent us. I make no secret that I have little respect for Commissioner Jorge Gonzalez. His arrogance on the dais, his blocking of other viewpoints, his weirdly uninformed twinning of North Bay Village with the city of Isparta Turkey, his ethical lapses, have led me to believe that he does not belong on the dais. How to separate personal life from public life can be a tricky question. 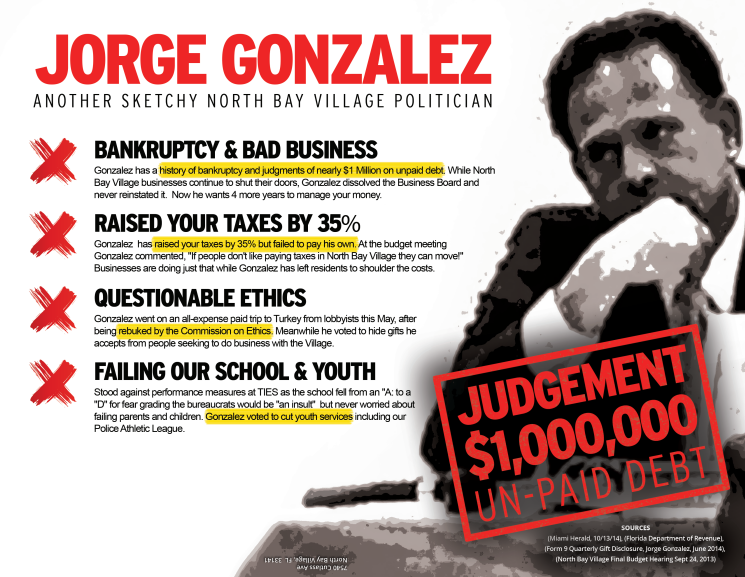 The Miami Herald article on the race points out Gonzalez's bankruptcy, his delinquent tax status and a $1m judgment against him. These are all yellow flags. Imagine you were hiring someone to handle your money and these flags were there. Because you are hiring someone to handle your money when you elect a commissioner. In the job interview, you would bring these up. 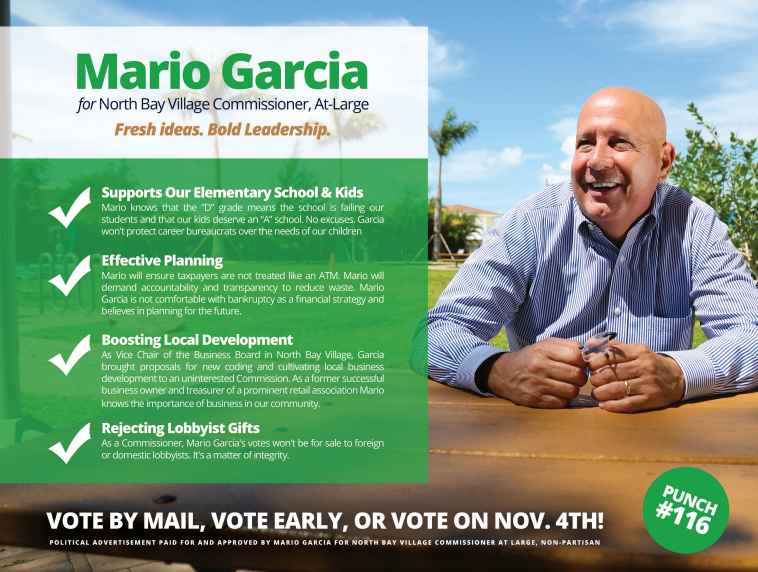 And if the job applicant replied as Gonzalez did, “It has nothing to do with North Bay Village or my service as commissioner of North Bay Village.” I know I wouldn't hire him. 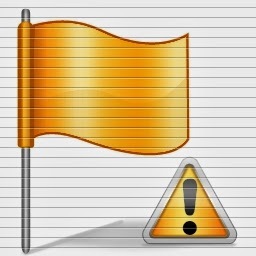 The Yellow Flag would become a Red Flag. Out of the race. Because it does have to do with us. Maybe he learned from his mistakes. Maybe there's another explanation, but a flat out "None of Your Business" when you are applying for a job that is specifically about financial management? Find another place. Now the question becomes, do you share this in a campaign? I say yes, it's relevant information and needs to be out there. It's a very good reason to position one candidate over the other. It's not unicorns and happy songs. It's not "PPPositive" but it's real. We need to know. There is a line. Commissioner Gonzalez and his family are none, zero, of my business or your business. His religion or lack of is none of my business or your business. That he leaves the cap off the toothpaste or obsessively keeps putting it back on is none of my business or your business. And that line has been respected. 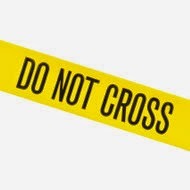 But when it comes to financial misjudgments with other people's money, court cases and tax delinquency, we have to know. Decrying negative information as wrong is simply avoiding the complex, intelligent consideration of a candidate's suitability for office. Let me give you another example. A PAC with no known connection to North Bay Village has published a letter that mayoral candidate Jorge Brito received telling him to "cease and desist" his questions about financial irregularities at the Kennedy House and he did not obey. He neither ceased nor desisted. Now this is presented as a negative and I guess it is if you live in a world where random lawyers are the authority to whom you have sworn allegiance but it's important information. It says that someone with nothing to gain but who is concerned about wrongdoing does not back down. I say that's a good thing and I'm glad to know it. You might think it's a bad thing and be glad to know that. This is information that should be out there. By the way, Brito did not back down and the same person who hired the lawyer to tell him to back down is currently awaiting trial. Daniel Patrick Moynihan once famously said, "Everyone is entitled to his own opinion, but not his own facts." And facts sometimes skew negative. We're grownups. We can handle it.